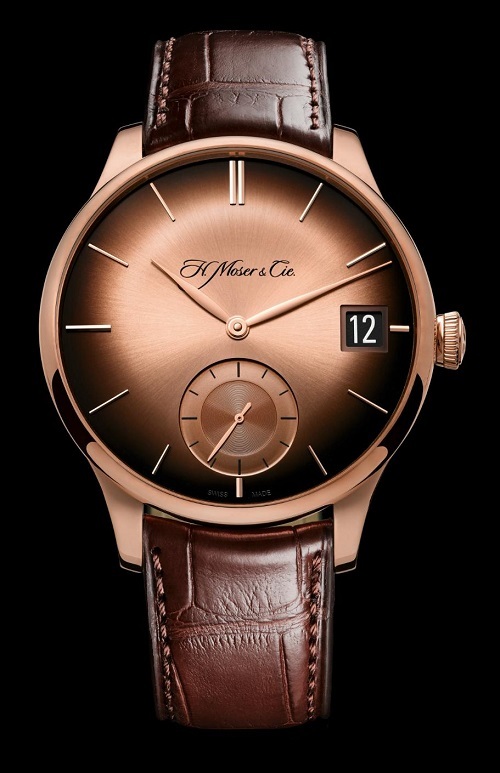 Do not be fooled by the traditional and elegant appearance of the new H. Moser & Cie Venturer Big Date watch. With Moser, Simple = Complex and that beautiful face conceals an assortment of mechanical wizardry. Two overlaid date discs - the upper with the numerals 1 to 15, the lower with numbers 16 to 31, - ensure that the numerals will always be perfectly centred - no exceptions. 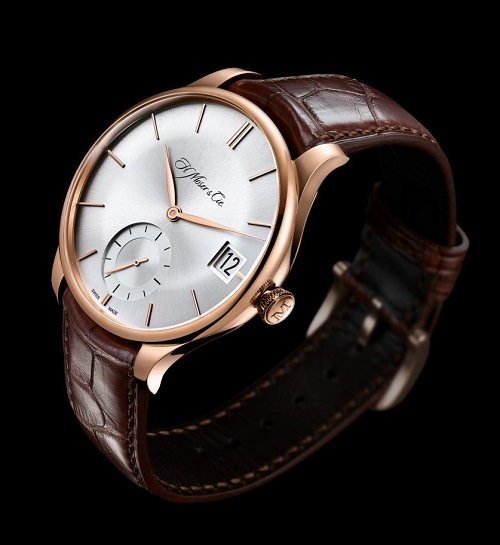 The Flash Calendar mechanism enables an instantaneous jump at midnight (well worth staying up to see) and clumsy users will appreciate the Double Pull Crown which means that it is practically impossible to adjust the date while setting the time. It can also be adjusted forwards or backwards even when the date is in the process of changing without causing ruinous damage. Inside the 41.5mm 18k red gold case, the in-house H. Moser HMC 100 calibre features their clever interchangeable Moser escapement so you don't have to be parted from your watch too long at service times. Double barrel construction gives a generous and fuss-free 7 day power reserve, with an indication tucked neatly away on the movement side. Components are hand-finished and decorated throughout adding to the high-end feel of these superb models, and the excapement wheel and pallet fork are made from solid gold adding a reassuringly luxurious touch - did I mention that Moser = Luxury? More details at Moser here.